Das europäische Gerichtshof für Menschenrechte hat in einer Pressemitteilung seine Entscheidung über meine Klage gegen den mehrtägigen Langzeitgewahrsam vor dem CASTORTRANSPORT von 2008 für kommenden Dienstag angekündigt. Das Gericht wird sowohl über die Zulässigkeit der Klage als auch - wenn die Klage für zulässig erachtet wird – in der Sache entscheiden. Ich habe sowohl gegendie Zulässigkeit des präventiven Langzeitgewahrsams an sich als auch gegen die Haftbedingungen geklagt. The applicant, Cécile Lecomte, is a French national who was born in 1981 and lives in Lüneburg (Germany). The case concerns, in particular, Ms Lecomte’s complaint that the conditions of her detention for preventive purposes in two police stations, for a total period of three days, were poor and humiliating. 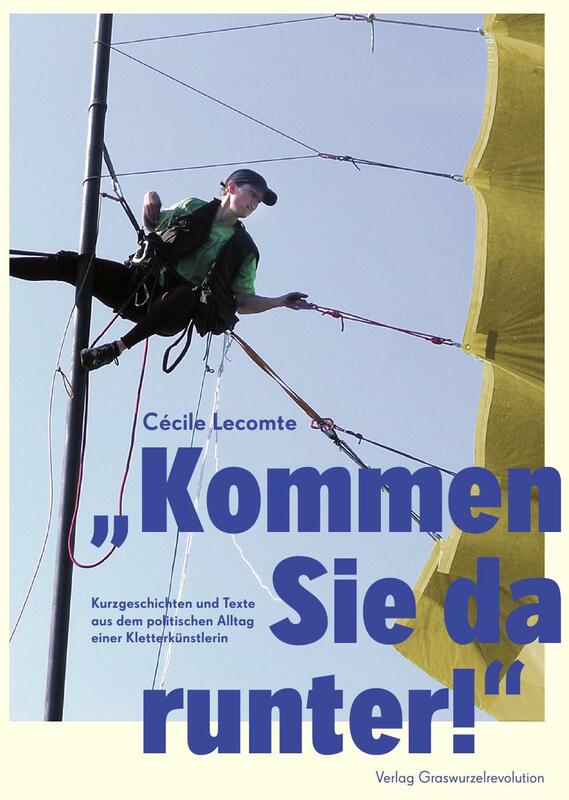 Ms Lecomte is an anti-nuclear and environmental activist. She was arrested on 6 November 2008 after having fixed, together with other activists, a number of banners on a railway bridge. The banners aimed to express the activists’ protest against the impending transportation of nuclear waste by train from La Hague, France, to an interim storage facility in Gorleben, Germany. On the evening of the same day, a district court ordered Ms Lecomte’s detention for preventive purposes until the arrival of the containers with the nuclear material at the train station which was their destination, and until 10 November at midnight at the latest. On the following day, the regional court dismissed her appeal against that decision. In the late afternoon of 9 November 2008 the district court quashed its order and ordered her immediate release. Ms Lecomte’s court action against the local police to complain about the unlawfulness of both the order for her detention and the conditions of her detention was dismissed by the district court in 2009. That decision was upheld by the regional court. The Federal Constitutional Court declined to consider her constitutional complaint, without giving reasons, in two separate decisions, on 24 August 2010 and on 30 May 2012, the first one concerning the complaint about the lawfulness of her detention and the second one concerning the complaint about the conditions of her detention. Ms Lecomte complains that the conditions in which she was kept in police custody, viewed in their entirety, were in breach of Article 3 (prohibition of inhuman or degrading treatment). In particular: the cell where she was kept in the first police station for one night and a half day was very small and had no window but only ventilation slots; in the second police station she had to pass by some photographs of shackled persons on the walls of the detention wing each time she went to the toilet; and she did not have sufficient possibilities for outdoor exercise. She also complains that her detention for preventive purposes was unlawful and in breach of Article 5 § 1 (right to liberty and security), Article 10 (freedom of expression) and Article 11 (freedom of assembly and association).